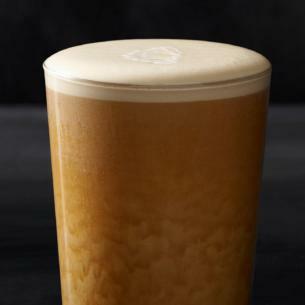 Served cold, straight from the tap, our Nitro Cold Brew is topped with a float of house-made vanilla sweet cream. The result is a subtly-sweet cascade of velvety coffee that is more sippable than ever. Brewed Coffee, Vanilla Sweet Cream [Cream (Cream, Mono And Diglycerides, Carageenan), Milk, Vanilla Syrup (Sugar, Water, Natural Flavors, Potassium Sorbate, Citric Acid)].